Thick in frame, this Special Cartridges Indexable Design is reliable and easy to use. This cartridge is quality checked by professionals in line to meet utmost satisfaction of patrons. In addition, these products are superior in quality and meet growing needs of industrial patrons. This cartridge has compact size. We offer assemblies for jack mounting, which are manufactured from qualitative range of raw materials, thus providing best services to the vehicles. 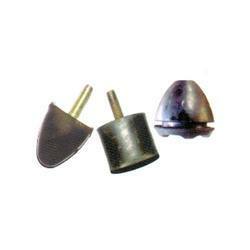 Tata Motors & Nirmitte Auto components use our range of jack mounting. We provide a best quality of engine mounts to our customer. We offer engine mounts, which satisfy two essential but conflicting criteria. These are stiff and highly damped to control the idle shake and engine mounting resonance. These are made of the best quality rubber, which is used as raw material.These are offered at industry leading prices to our clients. Being a well-established organization, we are engaged in offering a distinguished range of Garuda Greaves Engine Mounting. 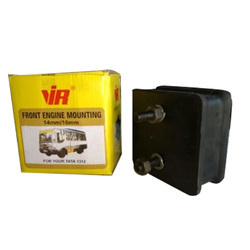 Being amongst the acknowledged business names of the industry, we are highly engrossed in offering an impeccable gamut of Engine Mount within the fixed time frame. Avail from us our comprehensive range of auto engine mountings that are manufactured from the best raw material. Available in different dimensions, our auto engine mountings are much in demand in many of the industries. We supply these high quality products in the most competitive prices. Our range of Engine Mountings are manufactured using high quality natural rubber. We offer these engine mountings for major brands of automobiles such as Volvo, Mercedez Benz, Tata, Penjuot, Austin, Hino, Toyata, Scania, Renault, Trailer. We can also offer them as per the customized requirements of the clients. We manufacture Engine mounting bracket, which are used for supporting the engine of heavy vehicles. They are made using sheet metal and are used in heavy vehicles. These brackets can be be made as per the specifications of the clients. We also manufacture engine mounting brackets for tata heavy vehicles as per their specifications. We manufacture our engine mounts with only fresh metals, virgin rubber, graded nut-bolts, high tensile studs and best bonding adhesives are used for increased performance and life of the mounts.